You and your team members can choose how you prefer to be contacted: phone, SMS text message, or email. 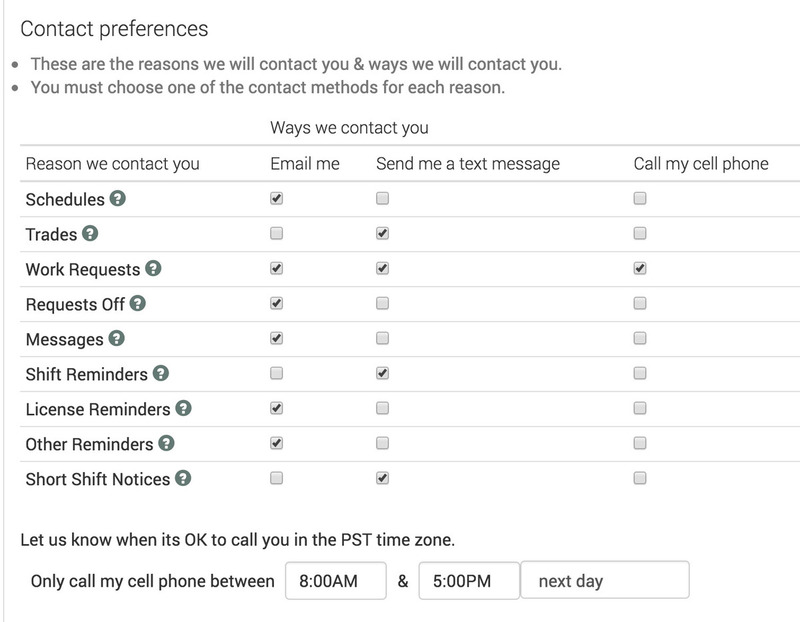 You can also specify a different method of contact for different reasons. Cooperation works hard to keep the number of times we interrupt you throughout the day small. We don't spam and won't share your contact info with anyone. Cooperation distributes the schedule automatically as soon as it’s ready. You can add a note for everyone or custom notes for individuals. When two people agree to trade shifts, we let the on-call scheduler know and update the schedule. We keep inbox clutter to a minimum by only messaging the people involved. Employees don’t need to know each other's contact information—everything runs through Cooperation. The same goes for covering and picking up extra shifts. 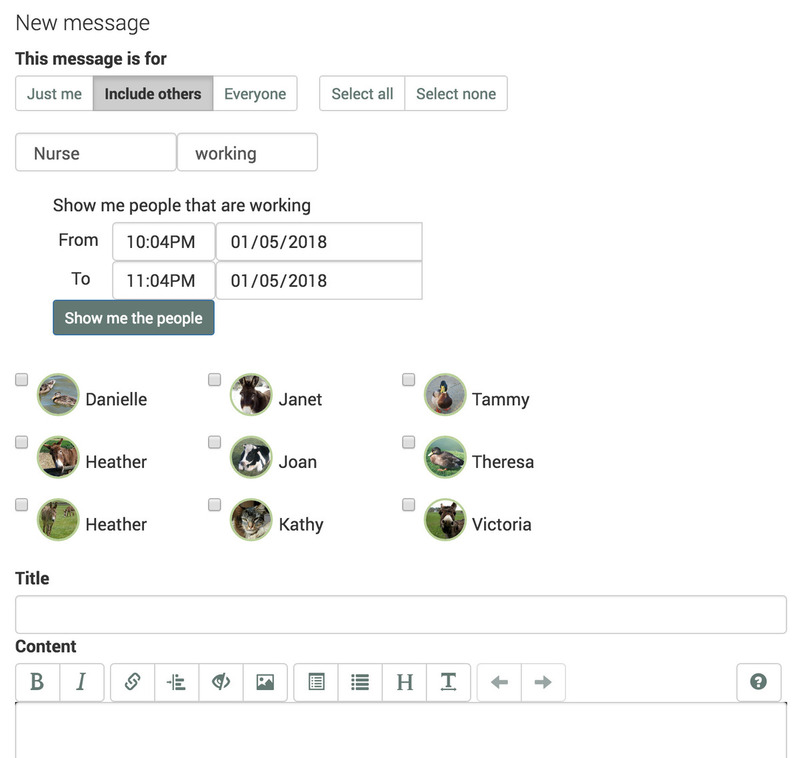 The notes feature of Cooperation can essentially run like a private blog.Write a message to a group of employees and that group can comment on the message. Other employees won't know it exists. Admin members with permission can view every message. 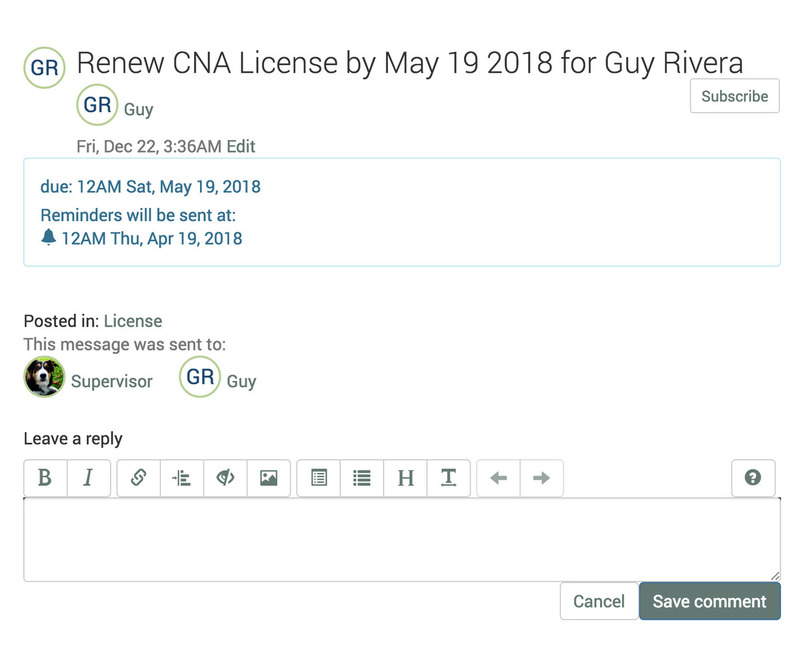 Make announcements and even set reminders using notes so employees can be reminded of action items and deadlines. Some roles require professional or state licenses. Cooperation can track expiration dates on such qualifications so the system knows who can legally work in what role. Cooperation sends renewal reminders to both employees and their managers 30 days before any expiration date.